Set of 6. Free display with 4 sets. Primer preps your eyelids for longer-lasting and crease-proof glitter. 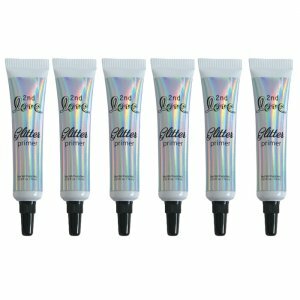 Use Glitter Primer before makeup application to increase eye color wear and keep glitter in place. Primer can be used with loose or pressed glitter eye shadows.